1. Атлас радиоактивного загрязнения европейской части России, Белоруссии и Украины / под ред. Ю.А. Израэля. – М.: Федеральная служба геодезии и картографии России, 1998. – 143 с. 2. Де Корт, М. Атлас загрязнения Европы цезием после чернобыльской аварии / М. Де Корт [и др.]. – Люксембург: Европейская Комиссия, EUR 16733, 1998. – 176 с. 3. Алексахин, Р.М. Крупные радиационные аварии: последствия и зашитные меры / Р.М. Алексахин ; под ред. Л.А. Ильина и В.А. Губанова. – М.: ИЗДАТ, 2001. – 752 с. 4. Накопленные средние эффективные дозы (внешнего и внутреннего облучении всего тела жителей населенных пунктов Брянской, Калужской, Орловской, Тульской, Рязанской и Липецкой областей РФ за первый год после аварии на Чернобыльской АЭС и за период с 1986 до конца 1995 г.) / под ред. М.И. Балонова, М.Н. Савкина и В.А. Питкевича // Радиация и Риск, 1999. – 125 с. 5. Чернобыль. Пять трудных лет// Сборник материалов. – М.: ИЗДАТ, 1992. – 125 с. 6. United Nations Scientific Committee on the Effects of Atomic Radiation 2013. Sources and Effects of Ionizing Radiation (2013 Report to the General Assembly, with Annexes), Annex А. Levels and effects of radiation exposure due to the nuclear accident after the 2011 great east-Japan earthquake and tsunami. – New York: United Nations; to be published , 2013. 7. Balonov, M.I. Theory and practice of a large-scale programme for the decontamination of the settlements affected by the Chernobyl accident / M.I. 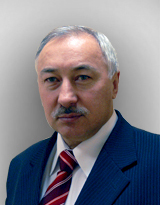 Balonov [et al.] // Proc. Int. Sem. on Intervention Levels and Countermeasures for Nuclear Accidents, Rep. EUR 14469. – Luxembourg 397–415 ,1992. – P. 397–415. 8. International Commission on Radiological Protection. Protection of the Public in the Event of Major Radiation Accidents: Principles for Planning, Publication 40. – Oxford and New York: Pergamon Press, 1984. – 22 p.
9. International Commission on Radiological Protection. Principles for Intervention for Protection of the Public in a Radiological Emergency, ICRP Publication 63. Oxford and New York: Pergamon Press,1993. – 30 p.
10. International Commission on Radiological Protection. Application of the Commission's Recommendations for the Protection of People in Emergency Exposure Situations. ICRP Publication 109. Ann. ICRP 39 (1), 2009. – 105 p.
11. International Commission on Radiological Protection. CostBenefit Analysis in the Optimization of Radiation, Publication 37 // Annals of the ICRP. – V. 10, Nos. 2/3. – 1983. – P. 1–77. 12. International Commission on Radiological Protection. Optimization and Decision-Making in Radiological Protection, Publication 55 // Annals of the ICRP. – V. 20, № 1. – 1989. – P. 1–60. 13. International Commission on Radiological Protection. The Optimisation of Radiological Protection – Broadening the Process. ICRP Publication 101b // Ann. ICRP 36 (3). ICRP Publication 101b. Ann. ICRP 39 (1). – 2009. – P. 65–104. 14. Предел индивидуальной дозы за жизнь, установленный для населения контролируемых районов РСФСР, БССР и УССР, подвергшихся радиоактивному загрязнению в результате аварии на ЧАЭС: утв. МЗ СССР 22.11.1988 г. 15. Jacob, P. Monte Carlo Calculation and Analytical Approximation of Gamma-Rays Buildup Factors in Air / P. Jacob [et al.] // Nucl. Sci. Eng. – 1984. – V. 87. – Р. 113–122. 17. Golikov, V. Evaluation of conversion coefficients from measurable to risk quantities for external exposure over contaminated soil by use of ophysical human phantoms / V. Golikov [et al.] // Radiat. Environ. Biophys. – 2007. – V. 46 (4). – P. 375–382. 18. Golikov, V. Model validation for external doses due to environmental contamination by the Chernobyl accident / V. Golikov [et al.] // Health Physics. – 1999. – V. 77 (6). – Р. 654–661. 19. Руководство по дезактивации сельских населенных пунктов в отдаленный период после радиоактивного загрязнения долгоживущими радионуклидами. Рабочий Документ ТС проекта RER/9/059. – Вена. : М АГАТЭ, 2001. – 103 с. 20. Practical Means for Decontamination 9 Years After a Nuclear Accident / Ed. by Roed J., Andersson K., Prip H. – Risoe-R828(EN), Risø National Lab., Roskilde, 1995. – 82 p.
21. Golikov, V. External exposure of the population living in areas of Russia contaminated due to the Chernobyl Acciden / V. Golikov [et al.] // Radiat. Environ. Biophys. – 2002. – P. 185–193. 22. Международное Агентство по Атомной Энергии. Экологические последствия аварии на Чернобыльской АЭС и их преодоление: Двадцатилетний опыт. – Вена. : МАГАТЭ, 2006. – 180 c.
23. Международный Консультативный Комитет. Международный чернобыльский проект. Технический доклад «Оценка радиологических последствий и защитных мер». – Вена: МАГАТЭ, 1992. – 740 c.
24. Roed, J. Decontamination in a Russian settlement / J. Roed [et al.]. – Riso-R-870(EN). Riso National Laboratory, Roskilde, Denmark, 1996. 25. Roed, J. Mechanical Decontamination Tests in Areas Affected by the Chernobyl Accident / J. Roed [et al.]. – Riso-R-1029(EN). Riso National Laboratory, Roskilde, Denmark, 1998. 26. Remediation of Contaminated Environments / Ed. by Voigt G., Fesenko. – S. Elsevier, 2008. – 477 p.